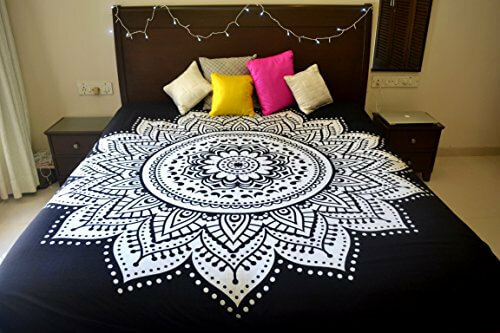 Local Indian artists are employed to craft this tapestry. 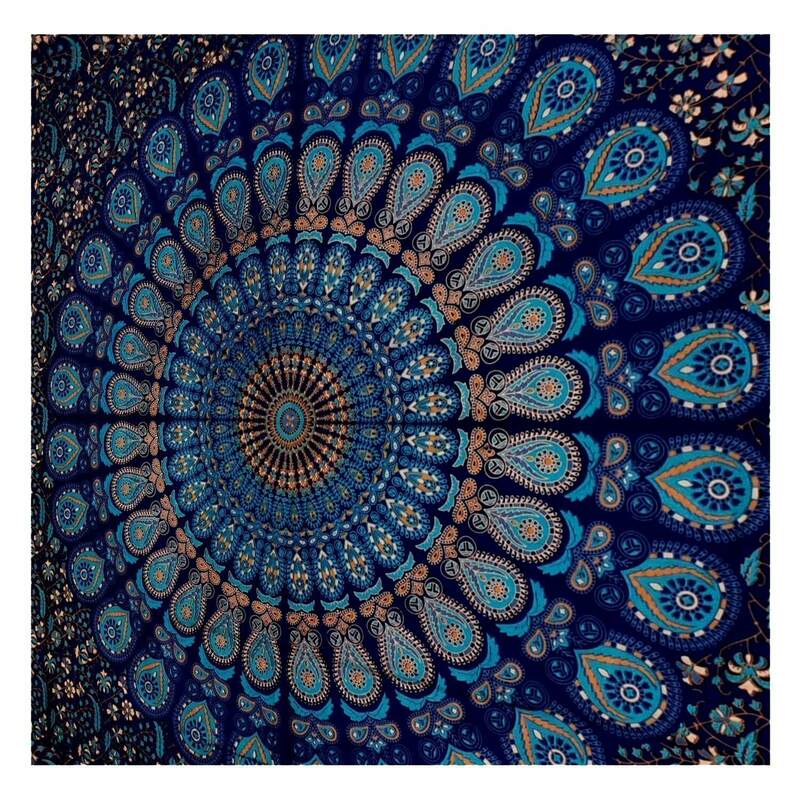 82 x 92” is the standard size of this Indian made wall hanging. 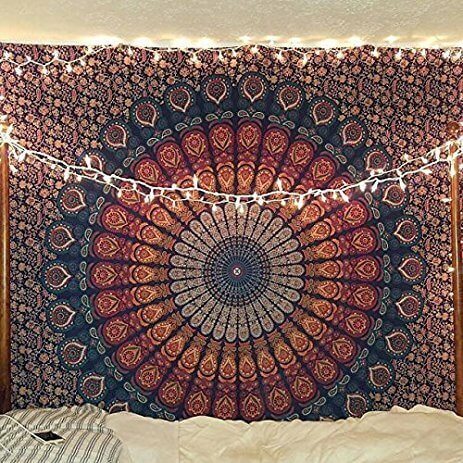 For washing use cold water rather than bleach. 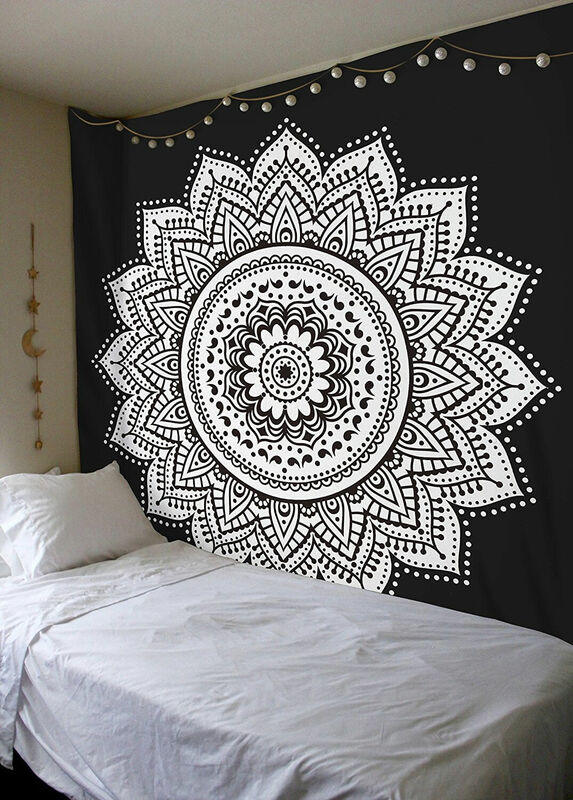 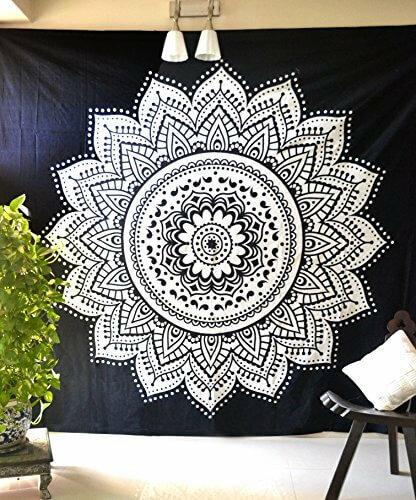 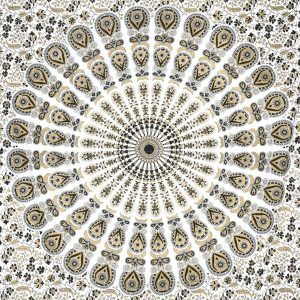 It is the subtle piece of Mandala tapestry in black and white color. 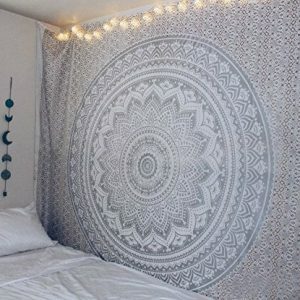 Work with the Bohemian bedding, ceiling decor, yoga mat and Hippie cover. 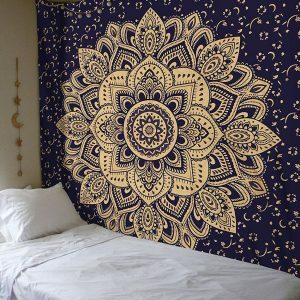 We use soft woven cotton for the fabrication of Hippie wall hanging that features Indian Mandala. 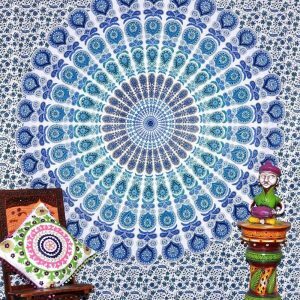 You will absorb in this piece of art whenever you use it as a tapestry, beach towel, yoga or tablecloth. Rely on this product to enrich the magnificence.